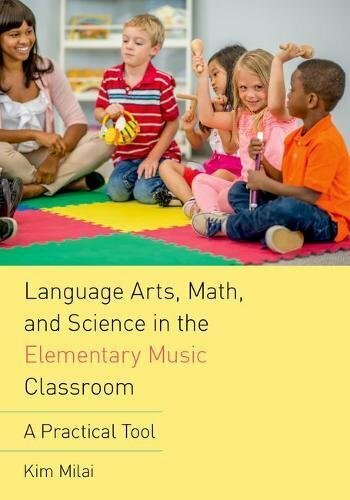 Language Arts, Math, and Science in the Elementary Music Classroom provides a practical guide to help music teachers incorporate elementary classroom subjects into their curriculum using STEAM (Science, Technology, Engineering, Arts and Math)-inspired strategies, with added emphasis on social studies. It includes a complete elementary music curriculum for kindergarten, first, and second grades, and has cross-referencing charts for regular elementary classroom teachers to find music activities for their classroom. Importantly, it shows teachers how to include the artistic processes of creating, performing, responding, and connecting in their lessons. These processes make up the new music standards featured in NAfME's new Core Arts Music Standards. In order to maximize comprehension, the book includes assessment tests, sheet music, work sheet templates, and brainstorming activities centered on using technology to enhance composition projects. Lesson plans are organized by the calendar year, each inspired by the seasons, American culture, and world culture. These lessons may be used as is or used to generate new curricula altogether. View More In Theory, Composition & Performance.